I’ve got a thing for whisky. I’ve got a thing for gin. With that in mind, Larrikin’s Barrel Aged limited release was a big win. I remember when gin wasn’t really ‘cool’. It was seen as a the kind of alcohol drunk by old people, mainly in the UK. There were two or three big players in the Aussie market and you could walk past the gin ‘section’ at your local bottle shop without noticing it. A recent trip the UK seriously opened my eyes to the popularity of this juniper laiden liquid gold as hundreds of gins lined off licence, bar and supermarket shelves. Larrikin’s barrel-aged gin has been ‘aged’ in small American Oak barrels, that were once ex-bourbon and then ex-Tasmanian whisky. Don’t let the colour fool you. This is definitely a gin worth adding to your collection. The team at the Ballarat distillery call it ‘aged’ because the gin is only there for a few weeks, sufficient to provide oaky nuances but soften the juniper to let some of the other botanicals come through more clearly. 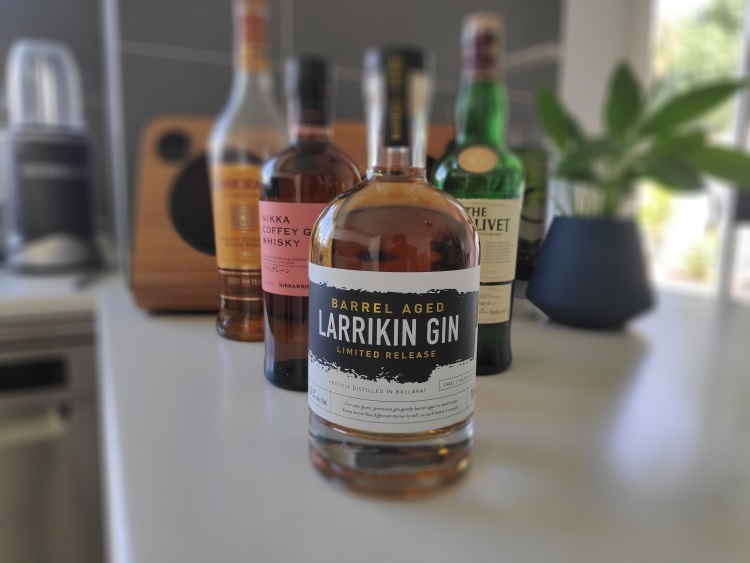 Larrikin barrel ages two types of gin, so depending on whether its Scoundrel or Original has been barrelled will determine what types of botanicals you’re likely to find in your barrel aged bottle. After cracking the lid, I wasn’t really sure what to think of it. 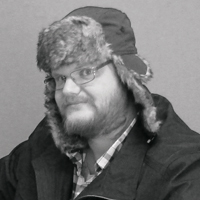 It kinda smelled like whisky, and it kinda smelled like gin. Either way, it woke the old nostrils up because there was some serious kick to this bottle. Like a wee dram of Glenlivet 12 though, this gin went down smoothly neat. I tried a little bit of tonic with it and it didn’t quite work. I then experimented with a little bit of dry ginger ale and lost the botanicals completely, so neat was definitely the winner here. And I’m completely okay with that. What a time to be alive. When gin is refined so well that it can be drunk like whisky, you know this life is worth living.